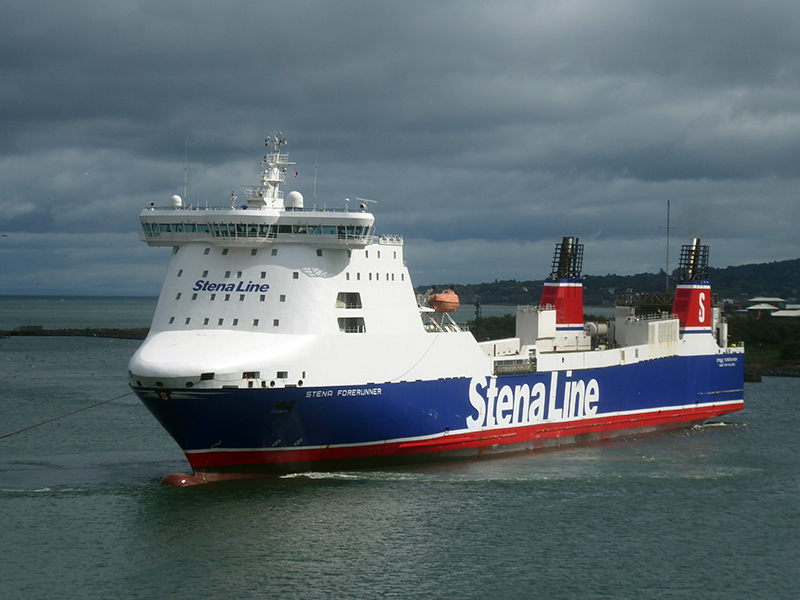 STENA FORERUNNER arrived in Belfast on Sunday 26 August, coming from Rotterdam. She is one the vessels to replace the previously Seatruck-chartered ferry STENA PERFORMER. The latter re-emerged as SEATRUCK PERFORMER on August 28, when leaving the Cammell-Laird drydock in Birkenhead. She will be used on Seatruck’s own Warrenpoint – Heysham route.